Mercedes-Benz vans are legendary for their versatility and dependability, and are built with business in mind. 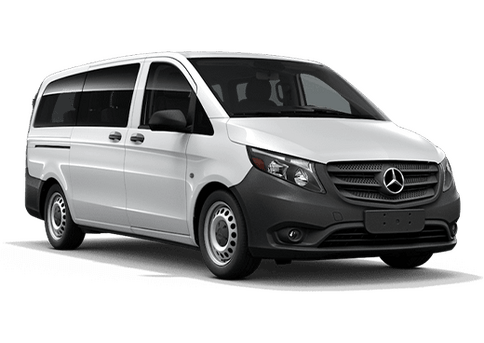 The Sprinter is offered in multiple wheelbase lengths and roof heights and is built around a 188-horsepower 6-cylinder diesel engine. In addition to the Sprinter Cargo Van, Mercedes-Benz offers a more stripped-down, lower-cost Sprinter WORKER Cargo Van. While both the Sprinter Cargo Van and the Sprinter WORKER Cargo Van feature the same base powertrain, there are a lot of differences between them. Keep reading to find out which Mercedes-Benz Sprinter van is the perfect fit for your budget and your daily needs! The big difference between the 2017 Mercedes-Benz Sprinter Cargo Van and the Sprinter WORKER Cargo Van is the amount of standard and available features. WORKER vans offer few additional features, focusing on low cost-of-ownership. For the 2017 Mercedes-Benz Sprinter Cargo Vans, shoppers can choose between a 144-inch, 170-inch or 170-inch extended wheelbase and a standard or high roof. The Sprinter Cargo Van offers the choice between a 188-hp, 6-cylinder diesel engine or a 188-hp, 6-cylinder 4x4 diesel engine. The diesel engine features a choice between a 3,215-pound maximum payload/5,000-pound maximum towing configuration or a 5,199-pound maximum payload/7,500-pound maximum towing configuration. The Mercedes-Benz Sprinter Cargo Van is available with 24 exterior paint options, multiple packages and a host of additional options and features. For the 2017 Mercedes-Benz Sprinter WORKER Cargo Vans, shoppers can choose between a 144-inch and 170-inch wheelbase with a standard or high roof. 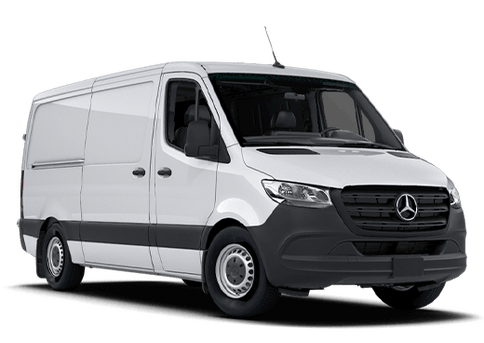 The Sprinter WORKER Cargo Van is fitted with a 188-hp, 6-cylinder diesel engine with a 3,215-pound maximum payload/5,000-pound maximum towing configuration. 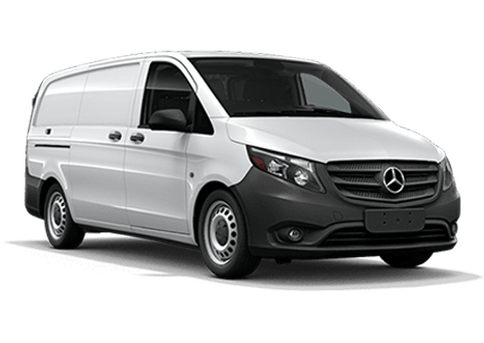 The Mercedes-Benz Sprinter Cargo Van is available with one exterior paint color (Arctic White), offers a Convenience, Utility and Overtime package and only a few options and accessories. For more detailed information regarding the available packages for the Sprinter WORKER Cargo and Sprinter Cargo Van, please contact a member of our knowledgeable team! The Mercedes-Benz Sprinter has been a leader in the commercial van industry for a very long time. Last year, we could have compared the Sprinter to the G-Class on account of its unchanging body style and overall retro look. This year, there aren’t enough blog posts in the world to properly cover the new models and extra features that are now associated with the Sprinter and the all-new Metris. Most recently, Mercedes-Benz has announced new package options for the 2017 Mercedes-Benz Sprinter, a van that we though couldn’t possibly financial room to upgrade.